The Medicine for Sick Children Foundation has a simple primary goal: to provide the needed and appropriate medicine to sick children in developing countries. 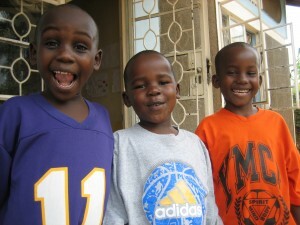 To this end, we work directly with hospitals, clinics, centers and orphanages. We also support community health projects. If one can improve the environment around a child, that child – and their community – will have a much better chance of dealing with disease. We support projects such as the establishment of clean water supplies, vaccine delivery and mosquito control. We also provide medicine, medical supplies and equipment directly to pediatric hospitals and clinics, many of which suffer serious shortfalls of these vital items. The Foundation funds such projects through both solicited and unsolicited applications. We have several affiliations with hospitals in some of the poorest countries in the world and are always growing. We encourage you to learn more about our Foundation and our work, and to give generously. Questions and comments can be sent to mscf@mac.com.